Made from a blend of whiskies from different regions, this has a maritime character on the nose, with gently floral, grassy, dry malt and heather notes from Speyside malts. The palate is rich, with some spice and a distinct smoky character. A high proportion of Islay lends character, depth and peaty flavour. 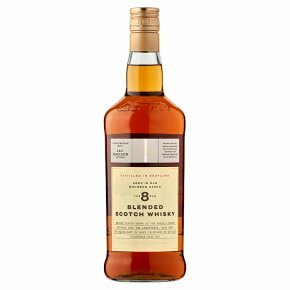 Our own unique blend of distinctive Island malt whiskies combined characteristically mellow malts of Speyside, all balanced with soft grainand matured in oak casks for a minimum of eight years. The Taste .... Rich and full bodied with a combination of sweet honeycomb, vanilla, fudge and plenty of smoke and spice.Try It .... splashed over ice before a special meal or with refreshing ginger ale as a long drink.